The Placerville Dental Group is proud to offer comprehensive dental service for all ages and virtually any dental problem. 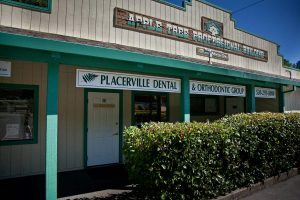 We have been the first — and sometimes only — dentists offering certain procedures in Placerville. Whether you need full mouth reconstruction, dental implants, the latest in orthodontic treatment from Invisalign, or sleep apnea solutions, browse our website to learn more about our procedures and make an appointment to give you the healthy smile you have always wanted!